As you all know, I've never met a print I was afraid of. I adore the little "animal prints (literally)" even more. 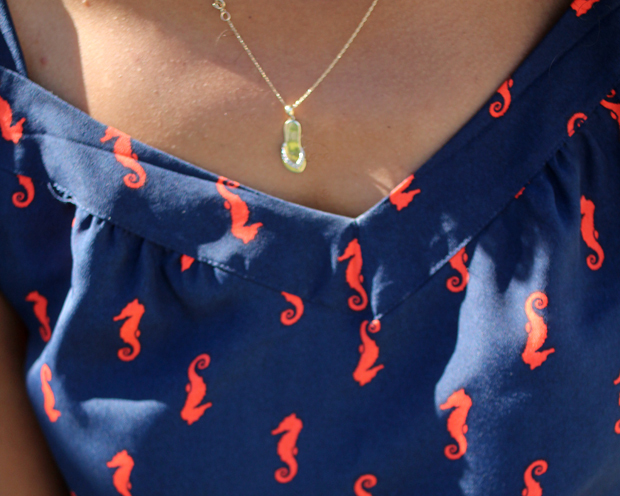 Heck, you've seen me wearing horses, crabs, and now one of my personal favorites--sea horses! I walked past this dress in Target, and I had to have it. I love the juxtaposition of the somewhat sophisticated styling with such a whimsical print. The slight high-low hem, didn't hurt either. If you haven't tried wearing one of these zany prints, I suggest you do. Be prepared to say a lot of thank you's for all of the compliments you'll get! P.S. If you are in the Atlanta area, be sure to check out the Atlanta Caribbean Carnival parade and festival on Saturday. It will be tons o' fun! 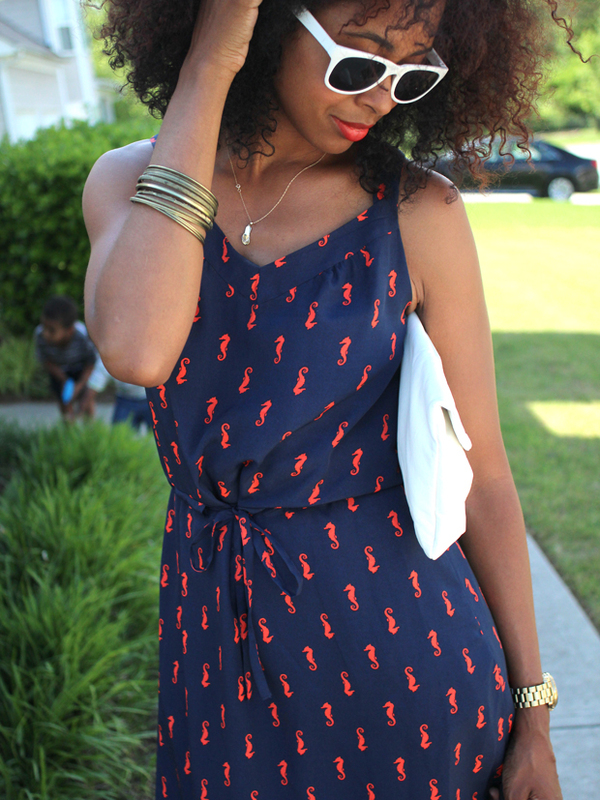 What an adorable dress...love the sea horses :). 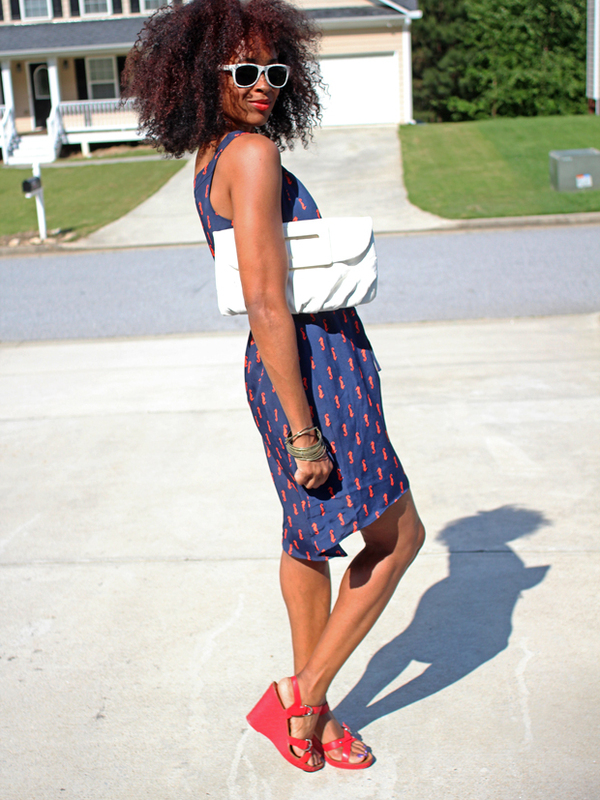 I like how your red wedges complements the print in the dress! wow, i can't believe you found that dress at target. you look fab! Yes! I've been really finding great stuff at Target lately!! I just purchased this exact dress from Target a few weeks ago! Love it! Adorable. I nabbed it as soon as I saw it but it doesn't work for my bust. So disappointed I have to return it.